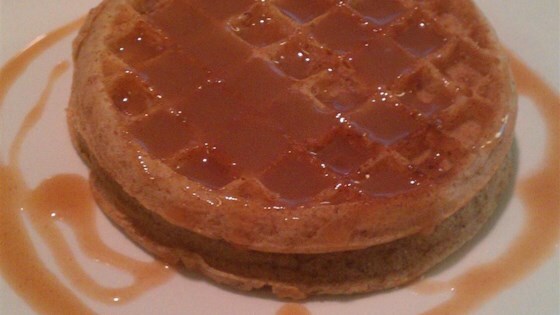 "My daughters wanted peanut butter syrup on their waffles, so I made this up. It's delicious! Stores in the refrigerator for a really long time. Serve over pancakes with sliced bananas. Try coconut extract in place of vanilla for added flavor." Stir milk, sugar, and peanut butter together in a saucepan over medium heat; bring to a boil while whisking constantly. Cook at a boil for 3 minutes, remove from heat, and stir vanilla extract into the syrup. I really didn't like this. It was really thin/watery. In fairness I used Kirkland brand natural peanut butter and I haven't been thrilled with that either. Used almond butter and honey, it was amazing! This is delicious. I only had whole milk and it did thicken it for me. It was more like a caramel consistency. It was still delicious. I put less sugar in it but it still turned out well and tasted great! Would like to know best way for storing leftovers of it if anyone has any ideas? Love this syrup! I make it every time we eat pancakes!